Super quiet Drytex polyester whisper suede fabric for stalking or sitting in comfort. Waterproof, breathable fabric with waterproof zippers. 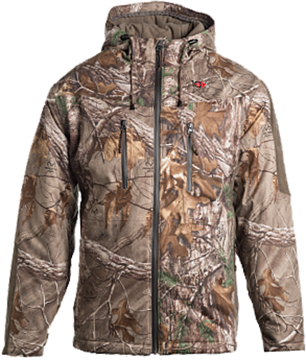 200 grams of 3M Thinsulate insulation in body and 100 grams in sleeves and hood. Scentrex dual action scent management system.